Internationally acclaimed, award-winning Los Angeles-based jazz trumpeter and vocalist Matthew von Roderick embodies and extends the musical lineage of iconic trumpeter and vocalist Chet Baker perhaps more than any other artist working today. Matt has been hailed as "A top-drawer trumpeter who also sings like an angel obscured by a storm cloud" by JazzTimes Magazine, as “a post-millennial Chet Baker” by The New York Times, and 1st Place Winner of the Independent Music Awards Jazz Category as judged by the late icon Lou Reed. Classically trained, Matt has been a featured soloist at Carnegie Hall and Lincoln Center, and earned his Bachelor’s of Music from the Oberlin Conservatory and Master’s from New York University via the coveted Vilar Global Fellowship. 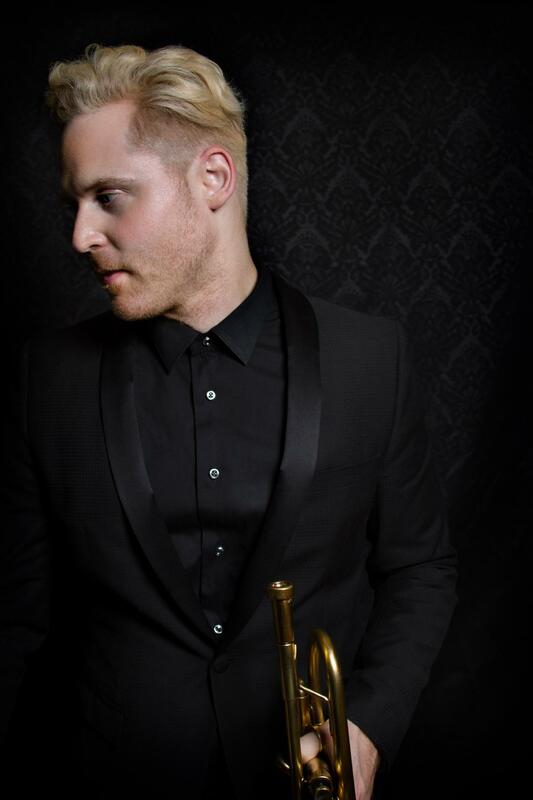 Matt received his stripes and recognition early in jazz, being named a finalist in the prestigious Thelonious Monk International Jazz Competition, as well as Herb Alpert's International Caruso Competition, and winning 1st place in the International Trumpet Guild Competition. Matt's musical foundation runs deep broad, possessing the kind of artistry that comes from the sweat of continually honing one's craft and living a purposeful life. Matt has released four full-length solo albums to-date and has performed with fellow artists Brad Mehldau, Kenny Werner, Chris Potter, Antonio Sanchez, Mike Posner, Dionne Warwick, Tom Scott, the SNL Band and as featured soloist on the Grammy-Nominated Album "Soul Call" with Nneena Freelon. Not one content to simply recreate the music of jazz's storied past however, Matt can often be found pairing his NYC classic jazz roots with his rarefied extended techniques, cutting-edge electronic production and visceral, spoken word-style storytelling. His viral jazz/rap/dubstep hybrid song Let The Trumpet Talk has garnered over 4.5 million views on YouTube, and received coverage from CBSnews.com. Perceiving life as a creative act in and of itself, Matt changed his professional concertizing name from Matt Shulman to Matthew von Roderick in 2009, as he continued to expand his personal relationship to possibility. Downbeat Magazine declares that Matt is ”Taking Jazz Into The Future", while AXS describes Matt's signature sound as "brilliant originality" and "musical greatness”. "A top-drawer trumpeter who also sings like an angel obscured by a storm cloud..."
"...a post-millennial Chet Baker...further polishes a trumpet and vocals package." "...brilliant originality...what Miles Davis might search for if the innovative jazz trumpeter were still alive"